Plus, YouTube functionality and new Zelda details emerge. Yesterday saw the reveal of a new Nintendo Direct special, one that focused primarily on the Nintendo 3DS - and as it turned out, the company had plenty to discuss. 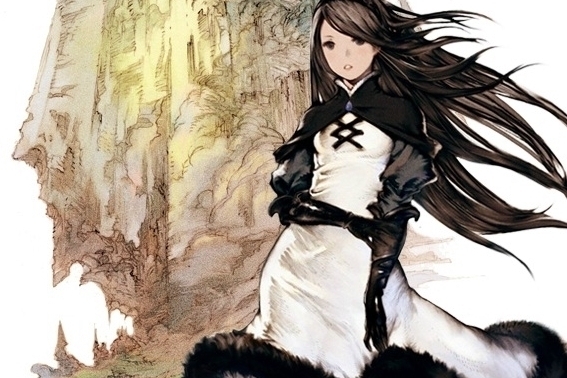 First up, it confirmed that the adventure/role-playing game Bravely Default has finally been given a U.S. release date of February 7th, and that a demo will be released this week. There'll be a collector's edition of the game too, one that includes an art book, a collection of new Augmented Reality cards, and a soundtrack. You can check out a trailer for it in the video below, although the collector's figure remains a European exclusive at this time. The latest Professor Layton game will also make its US debut in February. Professor Layton and the Azran Legacy sees the genius professor taking on a new mystery and solving puzzles along the way. The game has already been released in Europe and Australia, so it's about time U.S. players got a look at the action. Nintendo has also confirmed that YouTube functionality would finally make its way to the 3DS later on this month, allowing users to view a number of videos from the network using touch-screen integration. European soccer fans will be thrilled with the announcement of Nintendo Pocket Football Cup, which will bring all the glory of soccer management to your handheld system. The game will allow you to choose your team's country, emblem and colors, then take on players in top division action. No release date was given, nor any word on whether the game would make its way to the U.S., but expect more information soon. Finally, The Legend of Zelda: A Link Between Worlds will introduce a great new mode where you can interact with other people's versions of the main hero, Link. All you'll need to do is activate StreetPass, and you'll be able to take on Shadow Links, crafted from other player's characters.